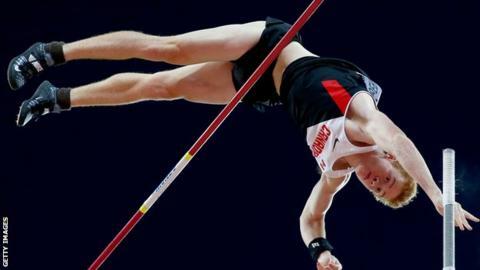 World champion pole vaulter Shawn Barber was right to compete at the Olympic Games despite testing positive for cocaine ingested during a sexual encounter, says Athletics Canada. The 22-year-old avoided a two-year ban after successfully arguing that the drug was passed on through "kissing". An independent arbitrator ruled no fault or negligence by Barber, who finished a lowly 10th in Rio. Athletics Canada called the decision "fair and reasonable". Barber posted an online advert seeking a casual encounter with a woman who was "drug and disease free" the night before the Canadian Olympic trials. He won the title and set a national record but will have to forfeit both. Barber claimed he had sought the sexual encounter to relieve stress. The woman involved said she had consumed cocaine and during their meeting kissed Barber several times without informing him she had taken the drug. "At no time during my actions did I even fathom the possibility of being able to be contaminated with cocaine," said Barber in a statement. Barber's lawyer, Paul Greene, added: "Forensic toxicologists have looked at the case and understood... that it was impossible to have taken this amount of cocaine intentionally. "You have inadvertent ingestion of cocaine that is passed to an athlete by way of kissing, which is exactly what happened." Barber's case was heard on 5 August, the day of the opening ceremony in Rio. The decision was released six days later and he competed on 15 August. I've never come across anything like this before. I had never really considered you could ingest prohibited substances in this way so it's a lesson for everyone. Although it is a bizarre explanation, I believe he has been lucky in not receiving a ban as he is ultimately responsible for his actions.